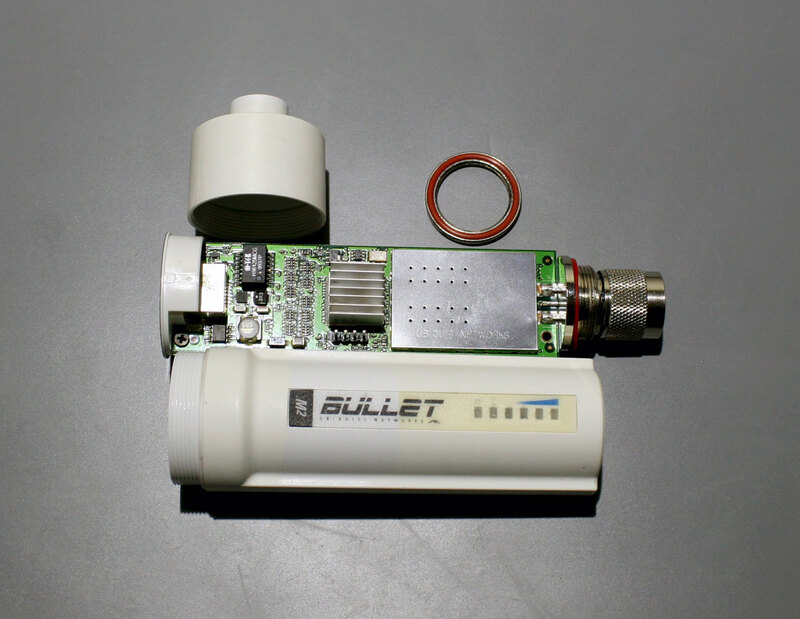 I purchased a used Ubiqiti M2 2.4Ghz Bullet to support an outdoor WiFi project. The plastic of the unit was discolored from the sun and I was curious to check out PCB inside so I decided to do a combo teardown/plastic whitening experiment. In all I was pleased with the results given the effort involved. 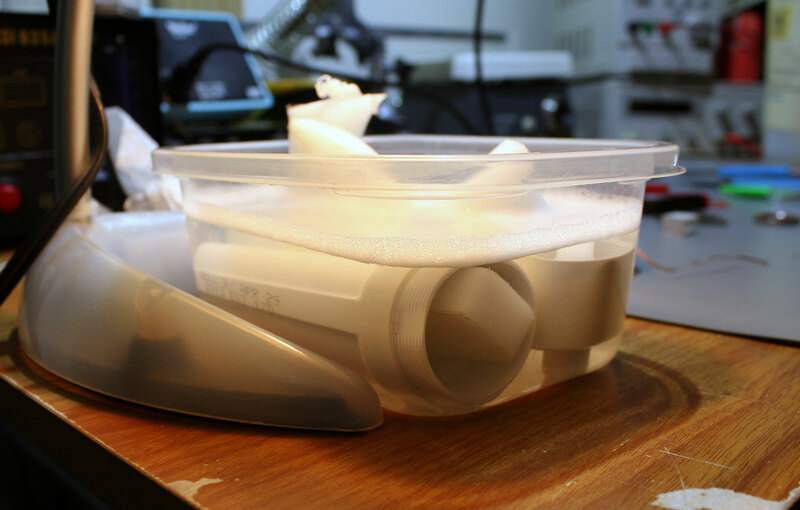 I look forward to trying this again with higher hydrogen peroxide concentrations and a better light source! 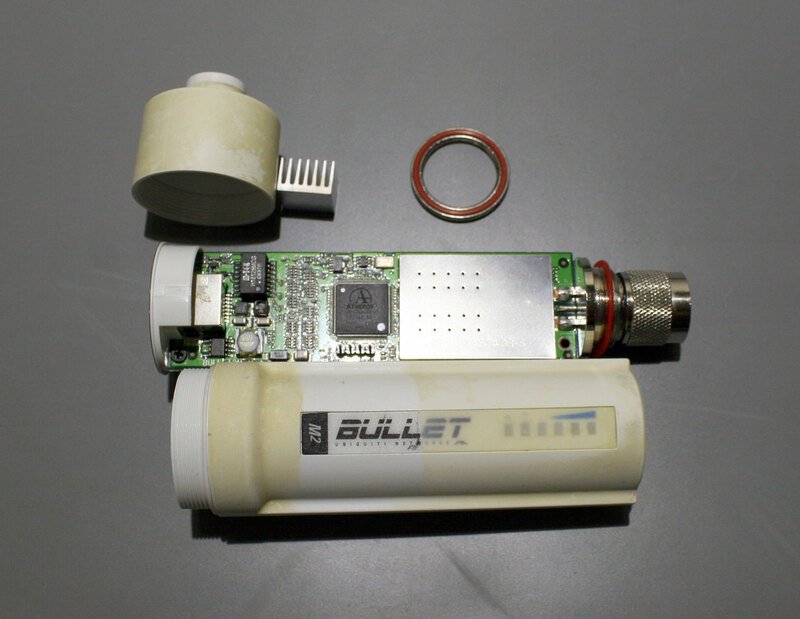 The Bullet M2 is designed in a manner which allows it to be taken apart and put back together very easily. The PCB is held in place via a single slotted nut which also serves as a weatherproofing seal. A c-span wrench can be used to remove the nut and allow the entire PCB to slide out the bottom of the unit. 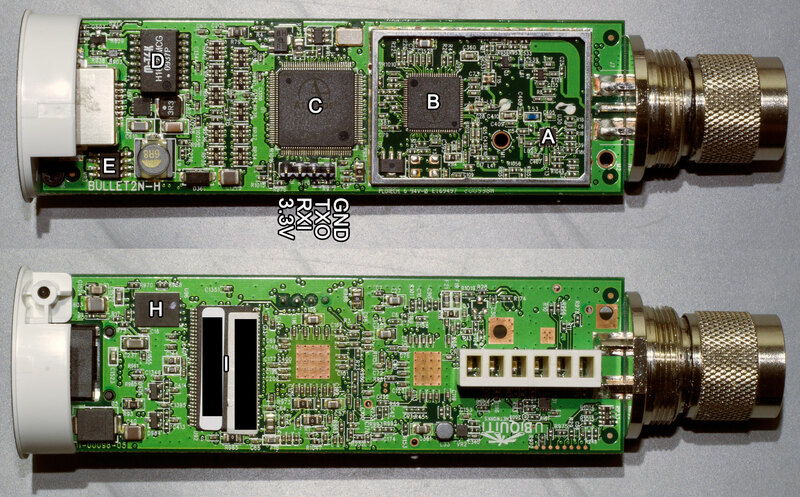 Based on the silkscreen the FR4 board appears to be designed by Ubiquiti and fabricated by PLOTech Co., LTD. In the pictures below the RF shield has been removed as well as the heatsink which normally resides atop chip labeled "C" vi an adhesive pad. I was happy to find that a UART was present on the board but was curious why they bothered to populate the header. Perhaps Ubiquiti is open to tinkerers?